Makaira 11 Pty Ltd T/AS Blue Horizon Charters seeks to provide the best possible fishing charter service to its customers by providing the best possible range of products and services. Who is Blue Horizon Charters? 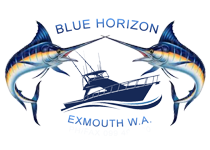 Blue Horizon Charters is one of the longest operating Charter Businesses in Exmouth, WA. 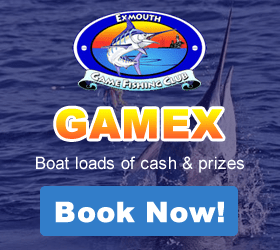 Exmouth is a beautiful place and Blue Horizon offers Game Fishing Charters, Island Adventures, Day Trips, GAMEX Charter and Exclusive Charters around the waters of Exmouth. Blue Horizon is for the novice and fishing enthusiast. Where reasonable and practical we will collect your personal information only directly from you. E.g. at a face to face consultation, via email, via phone conversation or via mail. In most circumstances it will be necessary for us to identify you in order to successfully do business with you, however, where, it is lawful and practicable to do so, we will offer you the opportunity of doing business with us, without providing us with personal information. Such a situation would be where you make general inquiries about our fishing charter services.